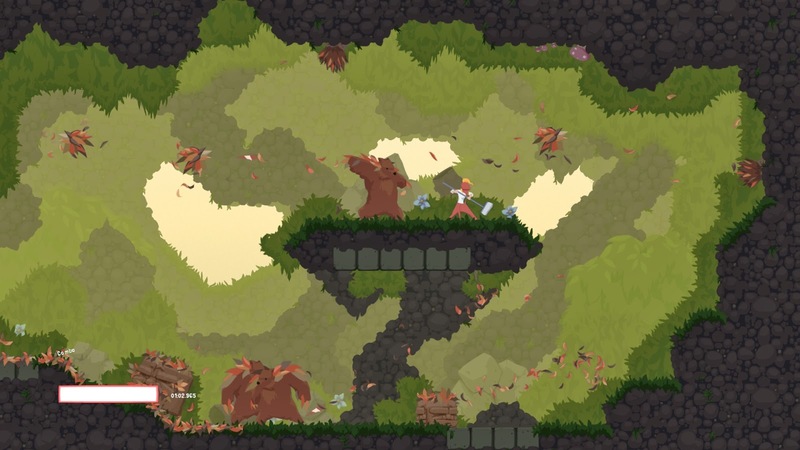 Dustforce is a mess. Not just because this is a game about cleaning up dust, but for other reasons as well. 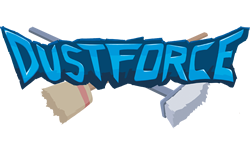 First, as its name suggests, it's a speedy action game where players must jump, dive, and dash in order to tidy up dirty areas and score points. The game sounds fun in theory, but it just doesn't feel right in practice. Controls are one part of the problem, as I often found myself trying to dash up walls, but the game not registering that movement. Hard to say if this is just a problem with the Vita version or what. Along with control issues, progression is also too slow. Only a few areas are available at the start, and you must do better and score more points to open up additional stages. This is great if you are skilled at the game, but until you get better you'll be repeating a lot of content. 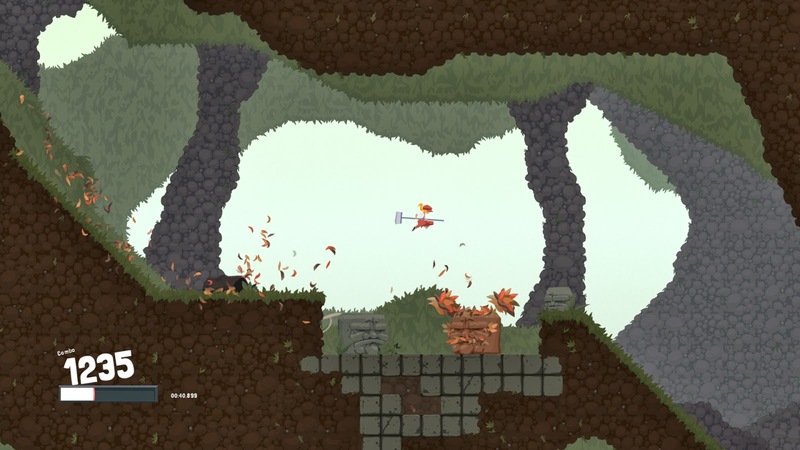 Between the awkward controls and having to repeat stages, Dustforce lost my attention quickly. Trying out all four of the playable characters made things a little more interesting, but not enough to keep me going. This game requires finesse that just doesn't seem to be available on this version. The content gating might be a move to push players to get better, but I'd prefer a little more variety than this game offers from the start. Recommended? No. The game didn't control well and the content was too grindy. Enjoyed By? Those who love challenging, repetitive platformers and can ignore awkward controls. This game was played on Vita via a PSN code supplied by the publisher.